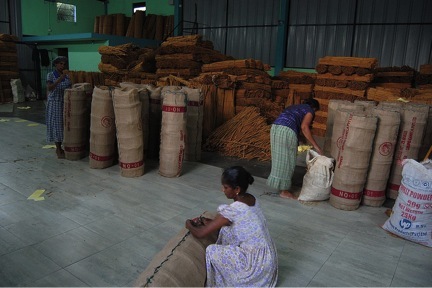 Cinnamon export is a cottage industry that employs women in a country where most women do not work outside the home. 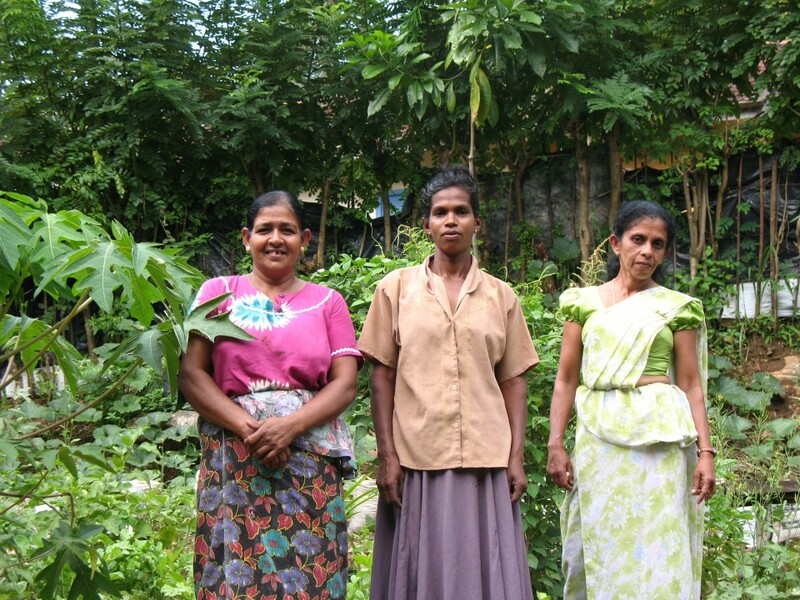 These women participate in Sarvodaya’s organic gardening program. In a country where agrochemicals are used intensively, Sarvodaya trains farmers to cultivate rice (shown here) and other crops organically. 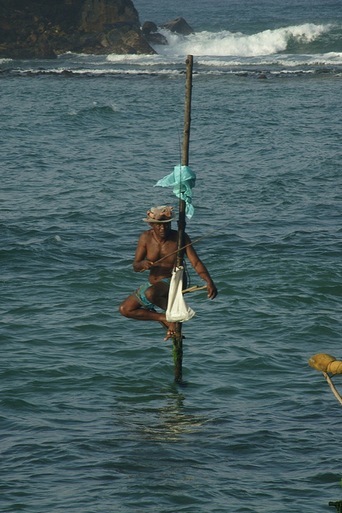 Stilt fishing provides a livelihood for many men in Sarvodaya’s coastal villages. 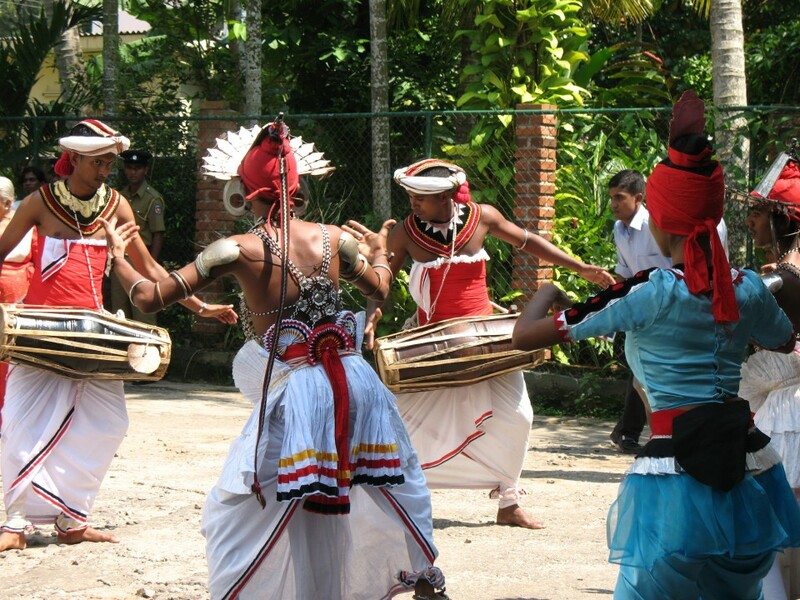 Cultural heritage is an important aspect of Sarvodaya’s participatory development work. 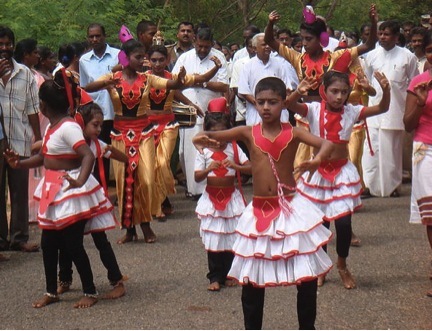 Sarvodaya also supports cultural education for village children. 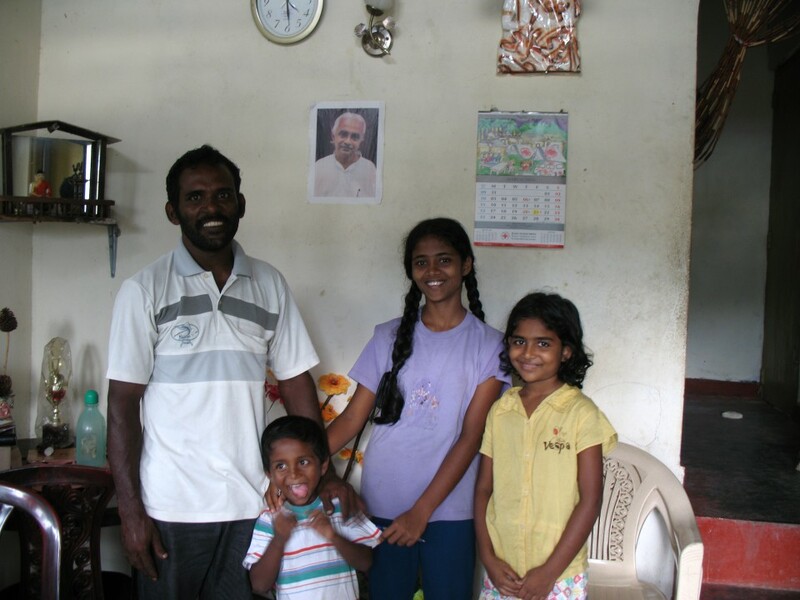 The president of Lagoswatte’s Shramadana Society, Harit Priyashanta (shown here with his family), praised Sarvodaya for helping him to overcome his alcoholism. 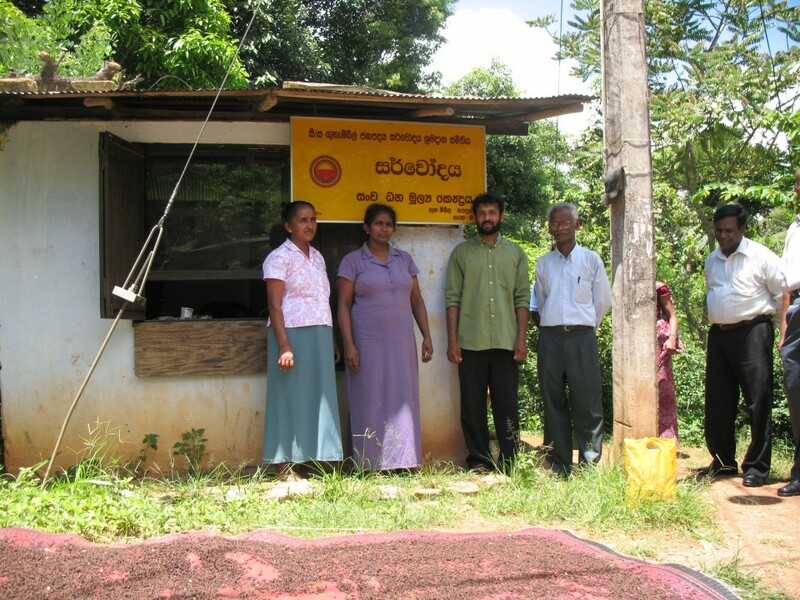 I spent two very full days on the road with Dr. Ariyaratne, second from the right. 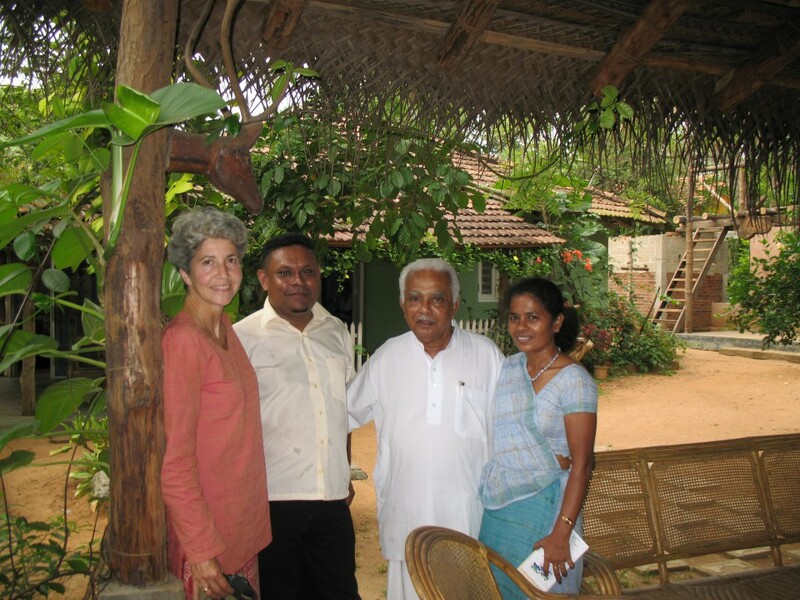 (p. 170) To his right is Yamuna Balasooriya of Sarvodaya’s Legal Services Division, and to his left, the owner of the eco-resort village where we stopped for lunch. Our primary destination was an International Women’s Day rally. Rural women walked for miles to hear Dr. Ari, but had to first endure a seemingly endless stream of speeches by male politicians. 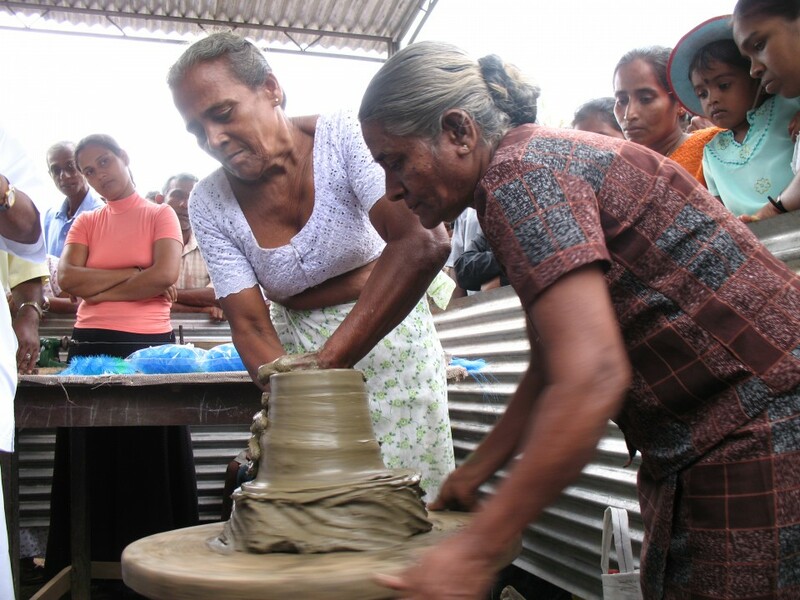 Older women potters demonstrated their crafts to younger women at the Women’s Day rally. 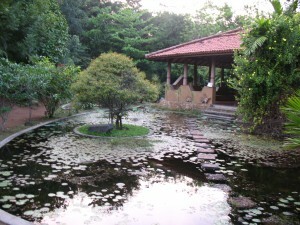 With industrialization, traditional skills are being lost. 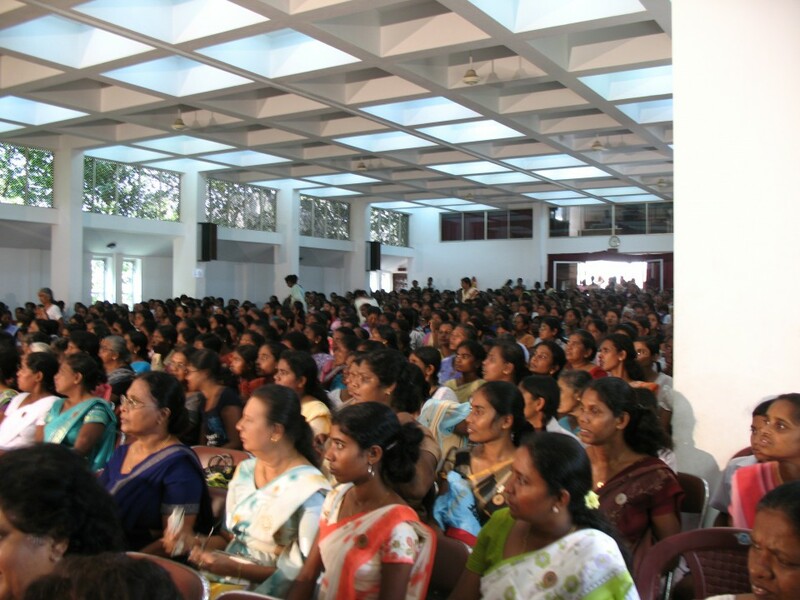 Hundreds of women attended Women’s Day events at Sarvodaya’s headquarters in Colombo. 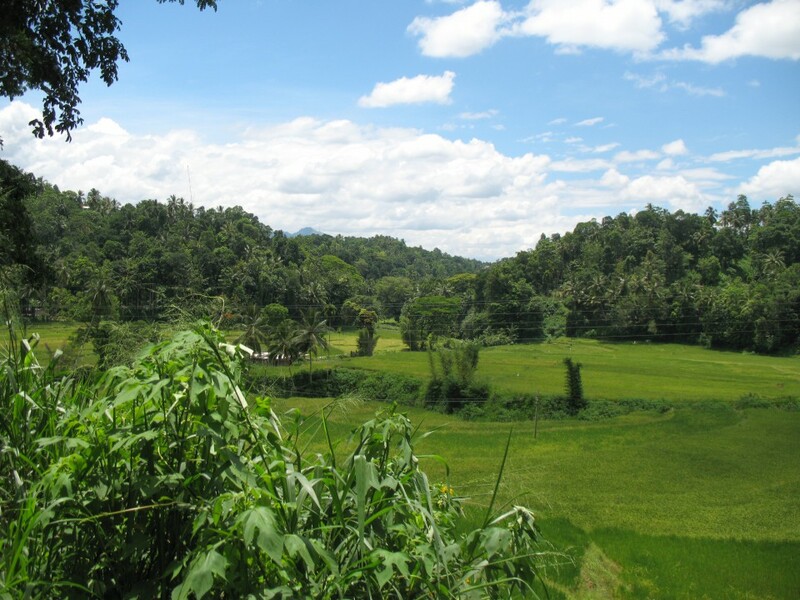 When people ask how many ecovillages there are in the world, I tell them it depends upon whether you count the 15,000 Sri Lankan villages working with Sarvodaya, Sri Lanka’s largest nongovernmental organization. 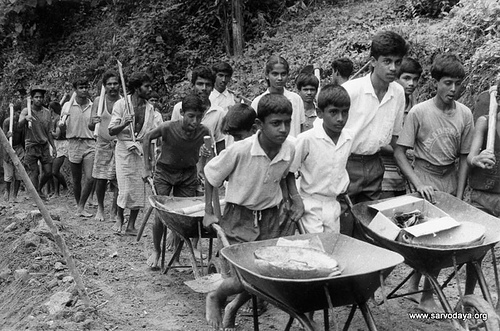 The Sarvodaya Shramadana movement, which literally means “the awakening of all through the sharing of labor,” began in 1957 when Dr. A. T. Ariyaratne brought Gandhi’s vision of village self-sufficiency to his country. The basic premise is that, by working together to meet their needs, villagers can simultaneously enhance their material wellbeing, their social relationships, and their spiritual consciousness. 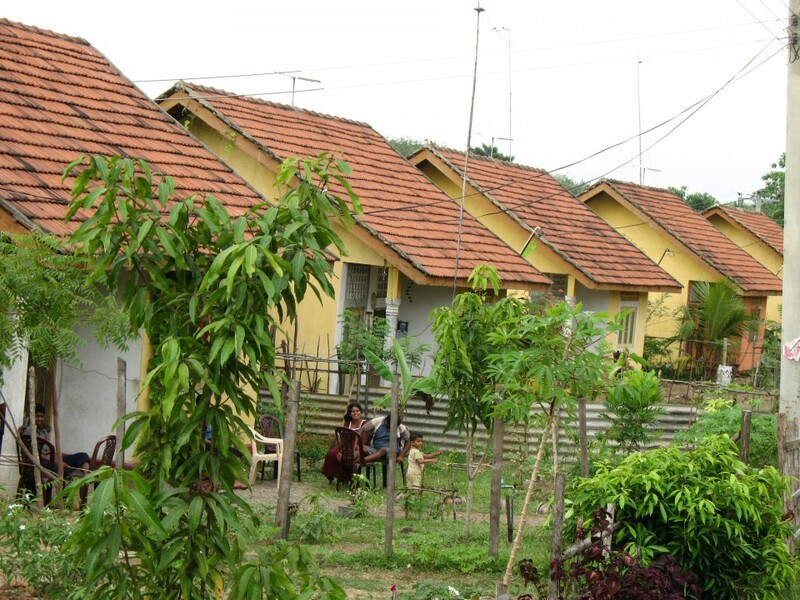 When a village decides democratically upon a project and commits itself to supplying the necessary labor, Sarvodaya brings in supplies and technical support. An integral part of Sarvodaya’s work is its Peace Meditation, a simple practice of observing the breath and contemplating one’s interdependence with all of life. 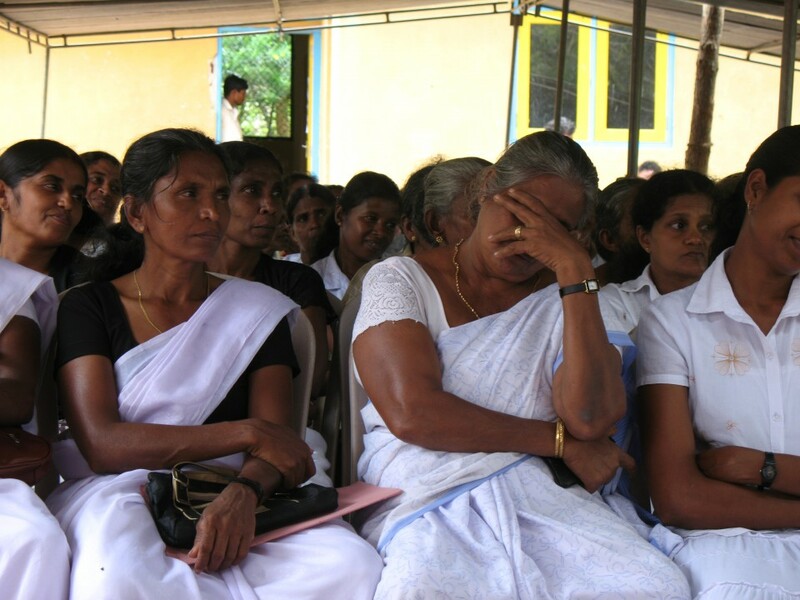 For Sarvodaya, all social problems—war, poverty, environmental destruction, the oppression of women—are rooted not in legislation, institutions, or even behavior, but in consciousness. 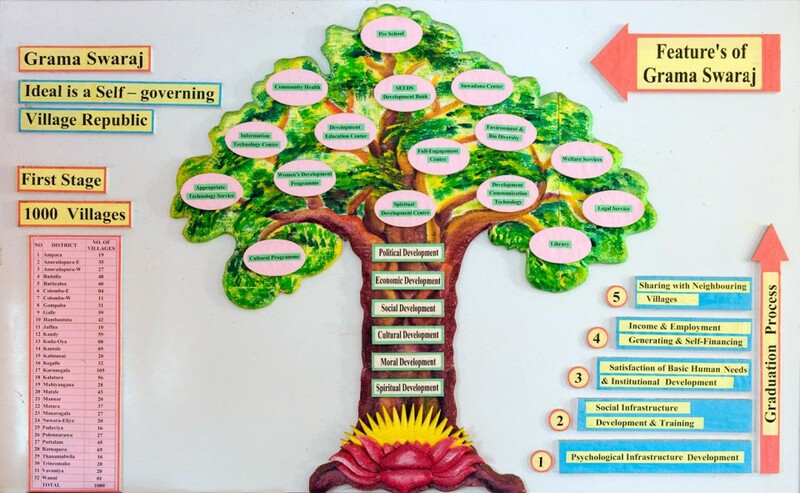 Consequently, every development project, whether it be a school, a water system, a community garden, or a health clinic, is an instrument for the transformation of human consciousness.